Hello Sapporo! Are you getting ready for 2020? 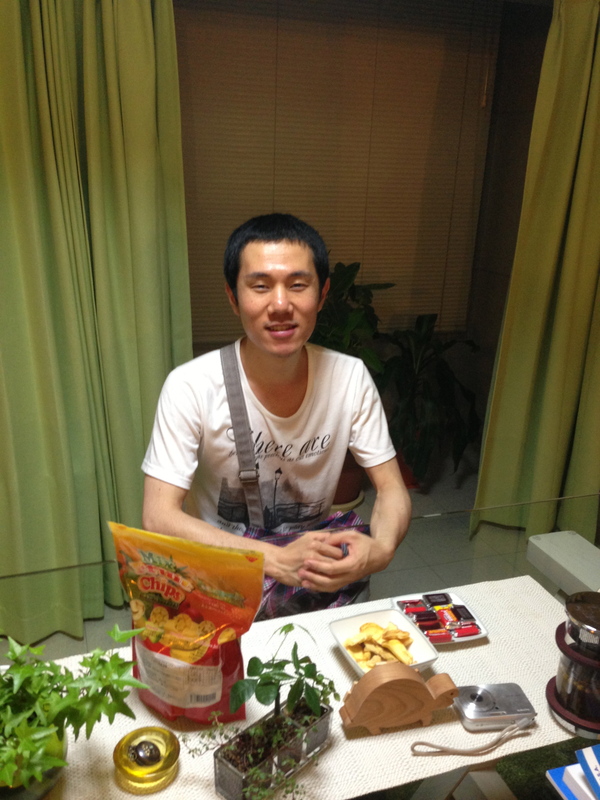 Toshiyuki has started coming to my private lessons because he wants to improve his business English and communicate better with clients both in Japan and abroad. He is transitioning from completing a long and successful career at a well-known insurance company to starting his own consulting firm. I’m always impressed to witness Toshiyuki’s high level of motivation during our lessons. Within the space of just a few months, he can now hear and speak English sentences much better, and he has even started watching foreign English movies (without subtitles!) by himself at home. Toshiyuki is well travelled, and yet he also knows a lot about Sapporo, so just by conversing with him I’m always able to find out about various things related to the insurance and banking industries, running businesses in Sapporo, American and Japanese movies, Japanese culture and history, and the differences between neighborhoods in Sapporo and their stores and restaurants. Yumiko runs her own school in Sapporo and teaches English to children. 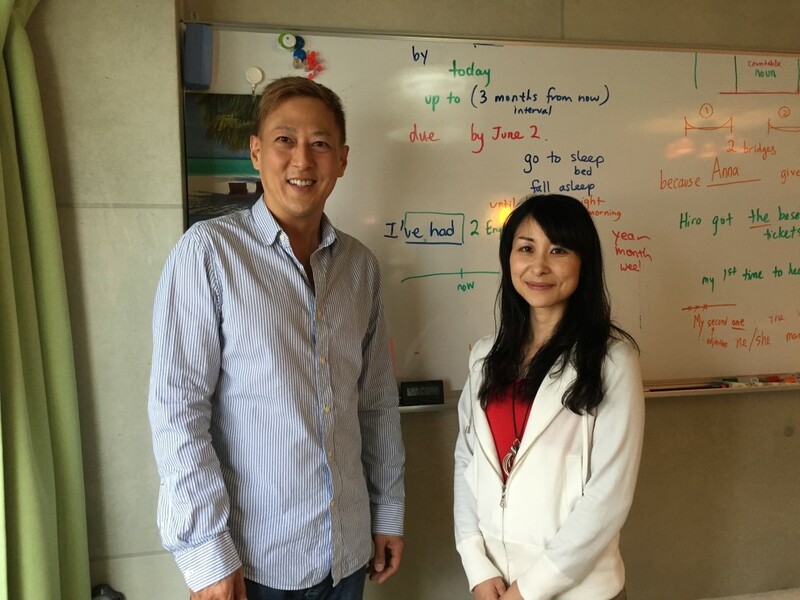 I was really impressed by her pronunciation and speaking skills when she first started taking conversation lessons with me. When she was young, Yumiko had spent four months studying abroad in New York City, and she also had experience performing live as a singer at a nightclub in Susukino. She has quite a few international friends, and I occasionally run into her at their vibrant summer bbq gatherings near Horohirabashi Bridge. I find that students with musical experience are often more adept at learning English because they are well attuned to the nuances of sentence rhythms and pronunciation. Toshiyuki K. is a young bioscience professor at Hokkaido University who does research on cancer cells and immunology in mice. Although he had not taken any English conversation lessons before arriving at my language school, his reading, writing and speaking skills were already fairly advanced. His main goal is to continue improving his English skills in order to give better presentations at international science conferences. While taking one-to-one lessons with me, he has gone abroad and given presentations both in Seoul and in Liverpool. Although our focus is on improving his general speaking and writing skills, we sometimes go over the abstracts and papers he has written for academic journals, and I’m also able to check his presentation posters and slides. Toshiyuki is from Shikoku and relatively new to Sapporo, so we often talk about regional differences in Japan, as well as the ever-present vagaries of academic politics and bureaucracy. I feel really grateful to Toshiyuki because every time he comes back from a trip somewhere, he always brings me a unique present. The little Koropokkuru figure that sits on my office table came from one of his trips to Kushiro. The Ainu believed that these small Koropokkuru people inhabited Hokkaido even before the Ainu did. Tomomi wants to improve her conversation skills so that she can speak English better with foreign tourists visiting Hokkaido to go on group bicycle tours from Sapporo to Chitose, Tomakomai, Furano, and other areas in Hokkaido. She did group lessons at a typical eikaiwa chain school for two years but feels that she can benefit from individual instruction while focusing on grammar and practicing using a variety of sentence structures. She likes to travel and has already taken trips to Hong Kong, Australia, New Zealand, the Maldives, and Thailand. Tomomi is one of my most diligent students—in addition to doing her homework with fastidious concentration, she always asks pointed questions about English articles and verb tenses. I really enjoy talking to her about her touring bicycles and her long bike tours to Abashiri, Shiretoko, and even farther away! Akiko is from Saitama and is living in Sapporo while doing a master’s program in tourism studies at Hokkaido University. She has visited several cities in the U.S., including New York, Boston, Washington, D.C., San Francisco and Las Vegas. As part of her research, she travels regularly to find out about the current state of tourism throughout Japan, in diverse locations such as Okinawa, Nagasaki, Miyagi, Niseko, Fukouka, Gifu, Tokyo, Miyagi and Wakayama. She graduated from a prestigious private women’s college with an excellent English language program, so she already speaks English fairly fluently. We’ve been working on improving her sentence structures by doing weekly grammar exercises between periods of extensive conversation practice. Her pronunciation and intonation are gradually getting better and more natural. Akiko enjoys reading for pleasure, so I gave her two books, Exposure and Tokyo Vice, which she has been reading avidly. She also does regular writing assignments. I often talk with Akiko about the joys and challenges of living in Sapporo and the cultural differences between Japan and the U.S. She gave me a really beautiful blue fan that she brought back from one of her tourism study trips, and that’s it hanging on the far wall of my office. Because taking one-to-one English lessons with an experienced native teacher is the fastest and best way to learn English and improve your communication skills. Getting ready for a trip abroad? About to start your own business geared towards international clients? Are you planning to give a presentation or attend a global conference or workshop? Or do you want to have something important translated from Japanese into natural, native-level English? If you need to communicate in English with customers, workers, fellow researchers or colleagues, I can help you. 경험 풍부한 원어민 선생님에게 맨투맨 수업를 받는 것입니다. 여행이나 출장을 위해서 영어가 필요하신가요? 국제 업무를 위해서 영어로 더 잘 말하고 싶으신가요? 포럼이나 워크샵에서 영어로 발표를 하거나 참여를 할 계획이 있으신가요? 만약 동료나 고객과 영어로 이야기할 필요가 있으신가요? 보다 더 자연스럽고 세련된 영어를 접하고싶지않으세요?